We are indulged in offering Starting Capacitors to our clients. Starting Capacitors are specifically designed by our engineers and technicians using high quality material. These capacitors are manufactured to meet the needs of an AC and motor run application. 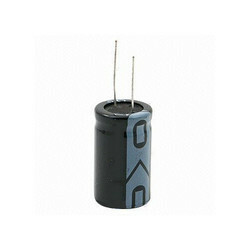 We offer our capacitors in various specifications at cost-effective prices. Sun Capacitors (Pune) Pvt. Ltd.
For Smooth jerkless starting of Pumps / Compressors / Mixers / Crushers / Fans, trust only Jayashree Soft-Starters. Available for 415V / 3.3 KV / 6.6 KV / 11 KV up to 35MW Motors. Special models for Slipring and Synchronous Motors. torque and allow a motor to be cycled ON and OFF rapidly. A start capacitor stays in the circuit long enough to rapidly bring the motor up to a predetermined speed. 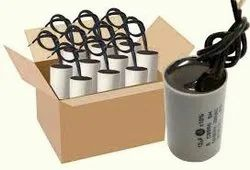 In order to maintain cordial relations with the patrons, we are dedicatedly affianced in providing a finest quality collection of Start Capacitors within the scheduled time period. Motor starting analysis calculates the electrical parameters (voltage and current) and the accelerating torque of the motor during the starting process.